The Capital One Cup returns on Tuesday and Wednesday this week, and the competition is hotting up now that it has reached the fourth round stage. A place in the quarter finals is at stake for the winners of this week’s games, and with just three Championship sides left in the tournament, the Premier League big boys are starting to assert their authority once again. Manchester United face a home tie against Championship high-flyers Middlesbrough on Wednesday evening, while across town Manchester City will welcome Alan Pardew and Crystal Palace. Arsenal are in action on Tuesday night when they travel to Sheffield Wednesday, while Chelsea will attempt to halt their season-long slide when they visit Stoke. 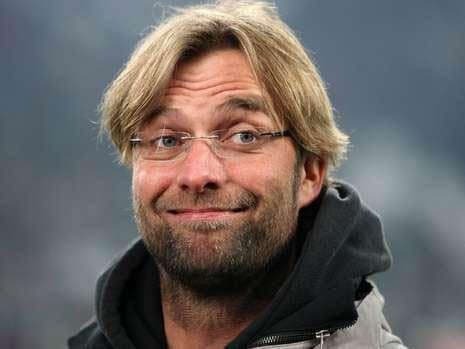 Other all-Premier League ties include Everton vs Norwich and Liverpool vs Bournemouth, with new boss Jurgen Klopp still looking for his first win since taking over at Anfield. All-in-all there’s some great midweek action to look forward to, and we’ve got three bets lined up over the course of the two nights. First up Southampton look a solid bet at 4/9 1.44 -225 0.44 -2.25 0.44 with Betfred, Bet365 and Totesport to take care of a Villa side in disarray. The hierarchy at Villa Park decided enough was enough after the 2-1 home defeat to Swansea at the weekend, and dispensed with the services of Tim Sherwood as manager. He’d been in charge for just eight months and his sacking makes his tenure the shortest of any Villa boss in the past. It’s a bitter blow for Sherwood after leading them to the FA Cup final and survival last season, but results have been poor so far this term and they’re now rock bottom of the league after 9 defeats in 10 games. The 1-0 home derby win over Birmingham in the last round of this competition was a small bright spot last month, but a trip to Southampton is an altogether different proposition. Under-21 coach Kevin MacDonald has been put in temporary charge until Villa find a replacement, and he’ll lead the team out on Wednesday evening. It’s an entirely different story for Southampton, who are unbeaten in four after fighting back to earn a 1-1 draw with Liverpool on Sunday. They thumped MK Dons 6-0 away from home in the last round, and after failing to make it into the Europa League group stage, Ronald Koeman has probably earmarked a good run in this competition. They’re back to playing some of the great football they displayed last season, and let’s not forget that they stuffed Villa 6-1 as recently as May. The side they will face on Wednesday is probably lower on confidence than the one they beat back then, and it may take the arrival of a new man to turn things around. Until that happens it’s worth opposing Aston Villa – starting with this game. Before that Everton will face Norwich on Tuesday night, and the Toffees are a good price of 4/5 1.80 -125 0.80 -1.25 0.80 with Coral to come good on home ground against a leaky Norwich defence. The Canaries have only kept one clean sheet this season in all competitions – the 3-0 home win over West Brom in the last round of this competition – and they’ll struggle to keep Everton at bay at Goodison Park. The Premier League started fairly well for Norwich after promotion, and they only lost twice in the first seven games. However, it’s been three defeats in the last three for Alex Neil and his men, culminating in the 1-0 home loss to West Brom last weekend. Everton have been playing the same dynamic attacking football we’ve come to expect from a Roberto Martinez side, but the results have been hard to come by. A quick look at their fixture list probably explains why, with their last four home games against Manchester City, Manchester United, Liverpool and Chelsea. They actually took four points from those, drawing with Liverpool and beating Chelsea, and they acquitted themselves well in the 2-1 reverse away at Arsenal over the weekend. A home game against Norwich will be a marked drop in class in terms of opposition, and Everton should enjoy far more possession than in recent games. The Toffees have also won three of the last five meetings between the two at Goodison, and they’re a fair price to make it four from six. In the other half of Merseyside, Liverpool can justify odds of 8/15 1.53 -188 0.53 -1.88 0.53 with Paddy Power and William Hill by giving Jurgen Klopp his first win as Reds boss. It’s been an inauspicious start to life at Anfield for Klopp, with two draws from his first two games, away at Spurs then at home to Southampton. Those are decent sides and give the new man a good barometer of his team’s ability, and he’ll be under no illusions of the size of the task facing him. He’s already gone on record as saying Liverpool need to ‘calm down‘, in response to the perceived pressure that his players put themselves under. Too many seasons of underachievement have left fans with unrealistic expectations and players who struggle to cope with meeting them. However, on the plus side he has a squad full of quality at his disposal, and he didn’t earn a reputation as one of Europe’s finest coaches for nothing. It shouldn’t take long for him to turn things around at Liverpool, and the perfect opportunity awaits with a home game against Bournemouth on Wednesday night. The Cherries have suffered consecutive 5-1 defeats to Manchester City and Tottenham in the last two games, and they’re precariously positioned just above the relegation zone. They’ve had a tough time with injuries, and are starting to find out just how ruthless the Premier league is. The two sides met at Anfield at the start of the season with Liverpool winning 1-0 thanks to Benteke’s winner. He was back among the goals at the weekend against Southampton, and could be the difference between the teams on Wednesday night.